This new Black Sequin V-Neck Maxi Dress is stunning! It features a classic Black color with sparkly sequin detail throughout and a lace back detail. This formal dress fits like a dream! Approx. 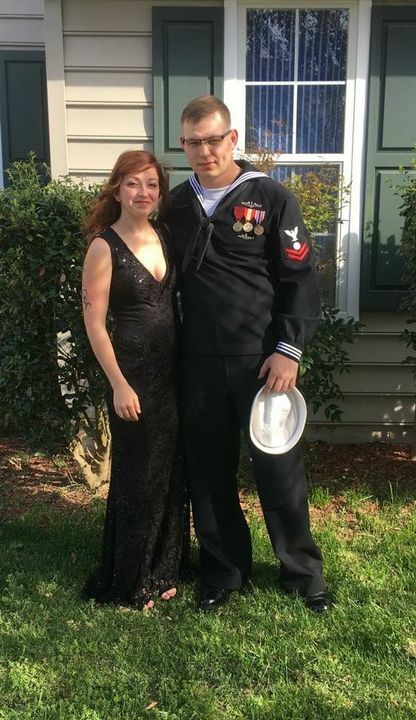 Length (shoulder to bottom hem): -Small: 64" -Medium: 64.5" -Large: 65"
This dress was perfect for the Submarine Ball I wore it too! I got so many compliments! I just needed a hem because it was a little too long.